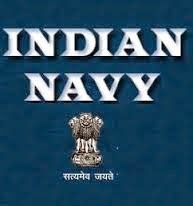 Indian Navy Recruitment of Permanent Commissioned Officer under 10 + 2 Cadet (B.Tech) Entry Scheme Vacancy Notification Online Application form 2014. Applications are invited from Unmarried Male Candidates to Indian Naval Academy, Ezhimala, Kerala under the 10 + 2 Cadet (B Tech) Entry Scheme. Permanent Commissioned Officer under 10 + 2 Cadet B (B.Tech) Entry Scheme. Course Commencing - June 2015. Education Qualification: Passed Senior Secondary Examination (10 + 2 Pattern) with at least 70% aggregate marks in Physics, Chemistry and Mathematics (PCM) and at least 50% marks in English (either in Class X or Class XII). Age Limit: 17 to 19½ years (i.e. born between 02 Jan 1996 & 01 Jul 1998 (both dates inclusive). How to Apply: Candidates are to fill in ‘e-application' (Online) for this entry.The candidates are to apply online (e-application) from 04.12.2014. The online application registration will cease on 24.12.2014. Hey Sir, Thanks for sharing this amazing online blog, Its really very helpful, i want to become a teacher. Whenever UP D.El.Ed 2019 Counseling will come please update your blog with them. Because i am ready for this course.